Charles is a 42-year-old married man with four children; all go to school. He has been in the livestock business for 7 years plus crop farming which acts as additional income for his family. He has a challenge of inadequate capital to boost his business. Charles hopes to trade in cattle stock and be financially stable so that he can easily pay school fees for his children. He wants money to buy sheep and goats to rear and later sell at a profit. He is proud of his business since he is able to pay school fees for his children on time as well as provide for his wife. It helps increase the productivity and income of rural farmers in Uganda. We helped another Woman to purchase items to sell such as canned goods, personal care products, etc. Ningning is 29 years old, married, and has two children. She works hard to provide for her family. She operates a general store in the Philippines, which she has been doing for eight years. She earns additional income from farming rice. Ningning requested her eighth loan from NWTF for 14,000 PHP, which she will use to buy items to sell such as canned goods, personal care products, etc. She aspires to save money to expand her business. We are waiting to restart to donate soon, we have had some problems in the last two months, but we have not forgotten who is suffering and who needs our help, we are close to resolving them, and devoting ourselves again to sending money. We try to forge parthership with beneficial associations. New Website Look for Globy! Globy coin project keep moving new website have been launch introducing its team. As the website redesigned dev is more active and engaging in the conversation with the users and investors. New concept and plans will also revealed once its finalize. The donation and building its own organization is not change. Big plans for investors coming ahead in order for them to have a good profit at the same time sharing and helping people in need also world. Continues support.. Slowly we will get there!! As Globy coin progresses the project we continue to extend our help. This will not stop. The road is not smooth for us but it will never be a hindrance in order for us to achieve our goal. and hopefully built an independent organization where we can use Globy coin in purchasing necessities for the donations. The organization is lending to people who are needing capital to start a business in order to give a good life to their families and also help in the community. Second donation for Food for Poor. Together we can change the world!! When is the right time?? Poverty, pollution, environment is being destroyed, war, greed, power hunger! When will this end??? Maybe not.. BUT if each of us will contribute and start thinking to make a change it may change or lessen all the suffering in this world. When is the right time to act and help? The answer is now! Globy coin created to contribute in our world to make a difference for the betterment of our planet where we exist and live. This simple act aims to show encourage everyone that every individual can make a difference. You and I change the world! Not only we help in donation for people in need to provide foods, shelter, education and built a better place to live for human and animals but also we would like to help individuals to make a living for their own family to be a good provider. I believe making this kind of initiative will help more families to uplift their way of living. Be part of our Greatest journey to help the needy. 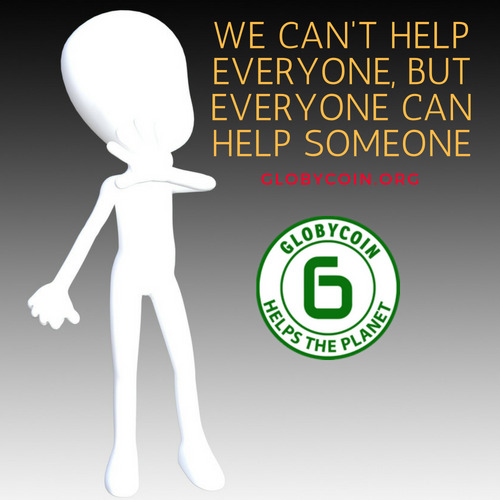 As promised Globy Coin’s priority is to help the people in need and make the world to be a better environment to live. Making a fast and safe transaction in blockchain. In our Q3 Roadmap we are fulfilling on what we promised and in ahead of time. As of today 583$ donated to different organizations to help the community, environment and also lending families to start a business to feed their families. We would like to thank our community and investors in joining and participating in our advocate in making our promises to deliver as fast as possible. Rest assured that we will continue in doing and engage in events that will help for us to have a better world. YOU CAN MAKE A DIFFERENCE!!! Visit our website to learn more!! disabled to experience a better living. CBM Italia is Non-Government Organization is part of CBM International humanitarian organization committed to the prevention and treatment of blindness and disability in countries of the South of the world. CBM International is a non-profit organization exist since 1908 to assist, treat, include and give a better quality of life to people with disabilities living in the poorest countries. The organization originated in Germany, Founder is Dr. Christoffel. In present time there 11 countries working together to fulfill the mission of the organization including ITALY. Globy coin supports the mission of CBM International in giving opportunity to children with disabilities to experience a better living and also give chance to see the beauty of the world. CBM Italia have programs that giving awareness to children about the sensory and disabilities. Teaching young age to understand on helping others facilitates events to raise funds to donate in the organization. CBM Italia, CBM International and Globy Coin believes that Children’s are tomorrows adults. Who will lead the better future! We have one world one planet! The only place we live in. Protecting it is just and right. It is our duty to act and help our home as a human. The second donation of Globy Coin is for the nature and animals. 19th of July Globy donation 50 usd in World Wildlife Fund to help and participate in the work of WWF in delivering their services. For 50 years WORLD WILDLIFE FUND has been protection the future of the nature. It’s the world’s leading conservation organization. They work in conserving the world’s most important forest, safeguard healthy oceans and marine livelihoods, secure water for people and nature, protect the world’s most important species, double net food availability freezes its footprints; and create a climate-resilient and zero-carbon world powered by renewable energies. The organization works in 100 countries and millions of people all over the world. 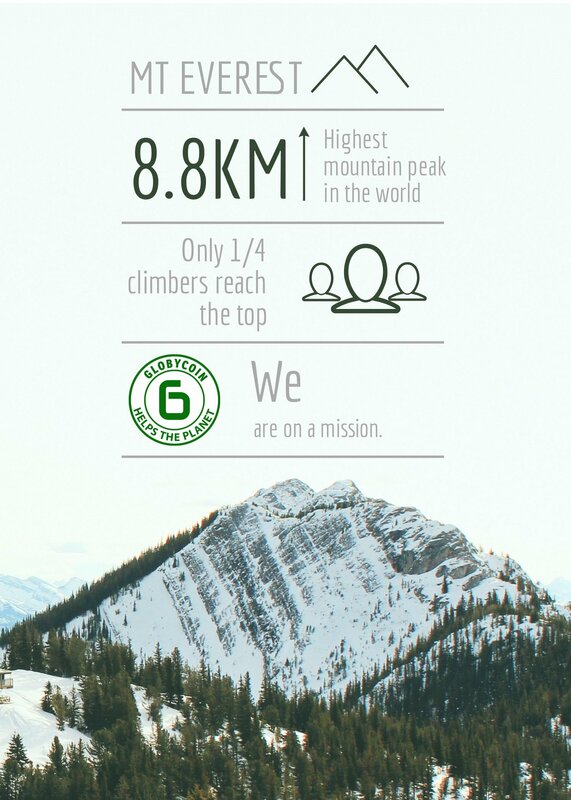 We believe in the mission of the organization. Video of Marco Lambertini, Director General, WWF International about the new way of working and commitment to conservation results. And he qoute ”Together, we can achieve WWF’s mission to conserve nature and reduce the most pressing threats to the diversity of life on Earth. Together, in partnership with foundations, governments, businesses, communities, individuals and our more than six million members, we can conserve many of the world’s most ecologically important regions. Together, we can protect life on our planet—including our own. Because together, anything is possible. A very powerful message for all of us to that we all can make a difference with the help from each to other TOGETHER is POSSIBLE. One of the Globy coin’s priority is to help children around the world. SAVE THE CHILDREN ITALIA was the first foundation received 50 usd donation from Globy. SAVE THE CHILDREN ITALIA is helping to save the lives of the children and guarantee them to have a future. They take care of the health and nutrition, guarantee education, fight for poverty, offer protection and fight for the rights of the children. This advocacy and good deed happening since 1919. Because it is a Non-Government Organization through the years Save the Children Italia is struggling to provide what their good intention is. Globy Coin chose to give donation to Save the Children to help the children in needs provide shelter, foods, make them healthy, and give opportunity to the children to have education for their better future. We believe that children are our future; giving them a chance to have a better life will help them to be a good people too in the upcoming years as they grow up. We also believe that Save the Children Italia will be our partner in this good act and intention to mold these children to be a good people in the future. Globy Coin, a Better World is within everyone's Grasp! We are a coin, which is safe, fast, economical and truly eco friendly. In its essence Globy Coin wants to create a better world, with benefits for everybody.we are going to start projects for the local environment, as well as global ones. While our coin is becoming stable, and able to produce these projects the initial investors will benefit from the ROI from the start. As the projects desire originates to create a better world, we need to reduce the heavy energy consumption, which is being caused by mining farms. As for blockchain technology mining, it is clear that we have reached a point of no return, looking from a environment friendly perspective, this is why globycoin has decided to implement the PoS Protocol, which reduces energy consumption tremendously, and is environmentally friendly and efficient. We believe this protocol will takeover the preference from mining in the near future, and with this we believe our Globycoin will become the most innovative currencies. 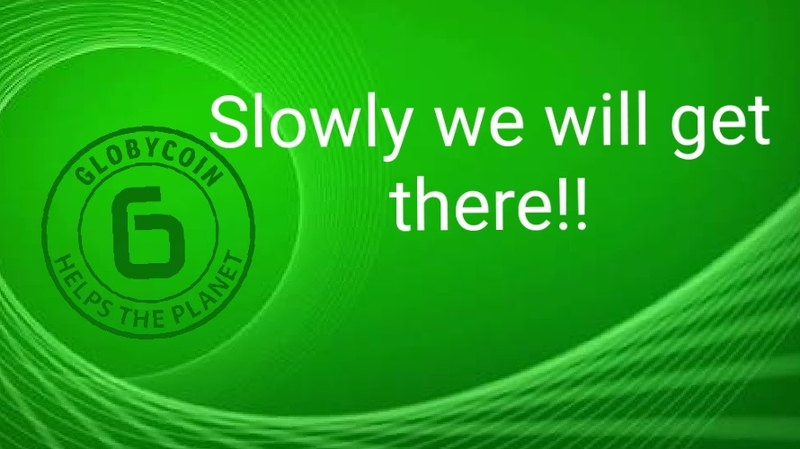 Globycoin will be one of the safest, fastest coins to date compared to the competitors we have right now, through our projects and the coin we believe that everybody will be given a opportunity to earn money while investing in our planet to create a better environment, this is a true coin for everyone. Is to help the poor and needy in disadvantaged areas of the globe. We can choose to donate local institutions or aid groups of the communities choice. Will order to supplies of food, water, medicine, education, medical facilities, etc. However our main intention is to help educate the population so we can build a foundation and not just provide aid. GlobyCoin will also to preserve local Environment, or even import plants and animals to help sustain the local ecosystem and help create a safe haven for endangered species of that region, which will create a natural oasis for the animals..
Our aim main aim is to be able to make these projects self sustainable, generating a profit from Masternodes, and Prices From Exchanges . Our Intention is to use 30% of the entire profit, generated by the Globy projects, to further develop and create new projects. All investors, will help create not only a truly independent charity organization, but a organization that will continue to try and improve global environment issues, and with the help of the community, Globy Coin will add Improvements to the project in the future.